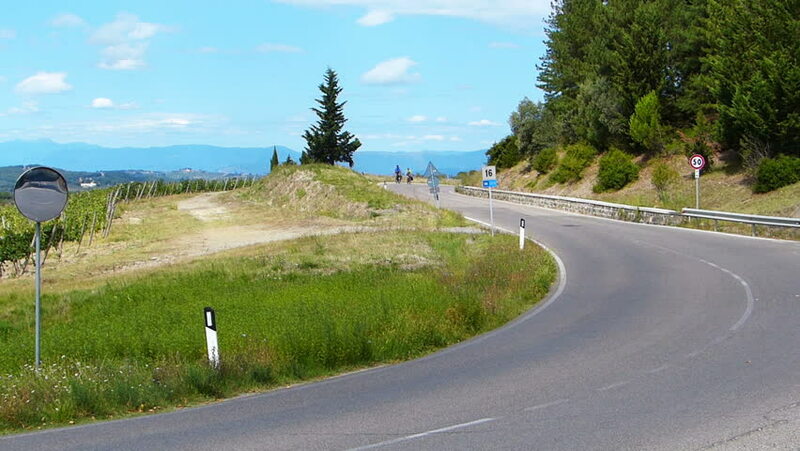 TUSCANY ITALY SEPTEMBER 2014.Couple traveling through beautiful Tuscany landscape on the bicycles, healthy lifestyle. hd00:12Country road in the summer. Ontario, Canada. hd00:20Sports motorcycles driving away on a mountain road. Forest area in central Utah.